Olivieri and Associates Inc. repaired a mid-18th century cartway that was damaged for years. After years of lopsided cobblestones, a colonial Society Hill street has been recently restored thanks to a South Philly resident. 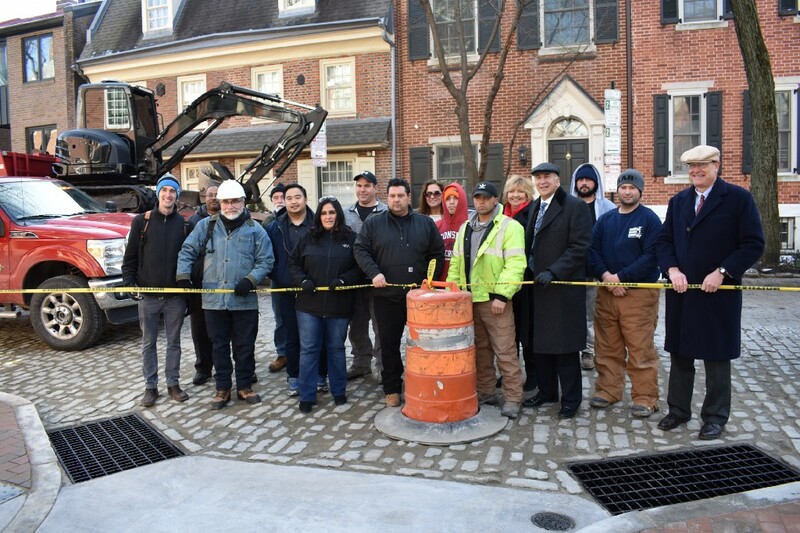 Olivieri and Associates Inc., a woman-owned heavy-highway construction company based in South Philadelphia, spent the last three months rebuilding the distorted infrastructure on the 300 block of S. Philip Street, nestled in the heart of the most historic district in Philadelphia. Last week, construction workers, community members and Councilman Mark Squilla convened on the corner of Philip and Delancey to celebrate the completion of the street, which neighbors say has been gradually crumbling for close to two decades. 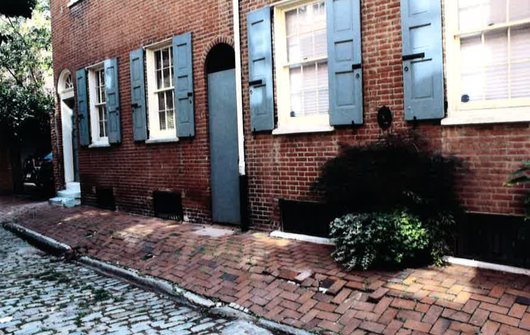 Residents of the block, which is home to several structures listed on the Philadelphia Register of Historic Places, have noticed the cobblestone street and brick sidewalks develop slopes that were close to 12 inches deep. Neighbors say, over the years, they’ve called the Department of Streets to evaluate the site, but it wasn’t until the last few years that residents started meeting as a community with Squilla and the Philadelphia Society of Small Streets, a local collaborative effort that listed Philip Street as a priority site in 2015, to keenly address the issue. “We think the streets that should be first fixed are the ones in the most historic areas that get tourists and have historic homes lining them,” said Lynn Landes, co-founder of the Philadelphia Society of Small Streets. Squilla helped lobby for the restoration with the city this past year, and toward the end of summer 2018, Olivieri and Associates Inc. won the bid for the project with the streets department. Olivieri and Associates Inc. is certifed through the city’s Office of Economic Opportunity, which works to ensure that businesses owned by women, minorities and the disabled receive a share of city contracts. Within 90 days, the company successfully completed the project. Considering the street’s mid-18th century infrastructure, Squilla said it can be difficult to find an appropriate contractor for the job. Olivieri and Associates Inc., though, which has performed projects across the region since 1999, including specializing in ADA ramps with the Pennsylvania Department of Transportation. “It’s kind of a dying trade,” Olivieri said. For the construction team, a considerable challenge was retaining the essence of the block, which once functioned as a cartway close to 300 years ago, while incorporating 21st-century components underneath the colonial brick sidewalks, including fiber optic wires. Several Society Hill residents commended Olivieri and her crew on their exquisite attention to detail. After years of thinking the city could not afford to fix the street, they’re thrilled to finally see the restoration blossom into fruition. With other neighboring streets in need of repair, hopefully, Philip Street’s success will serve as a precedent. 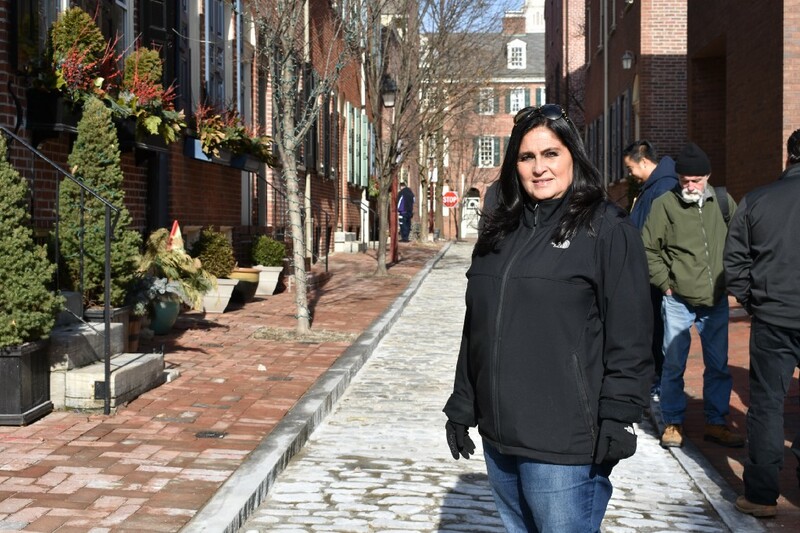 South Philly woman-owned business restores historic Society Hill street was originally published in South Philly Review on Medium, where people are continuing the conversation by highlighting and responding to this story.